Croatia has gained yet another international recognition. 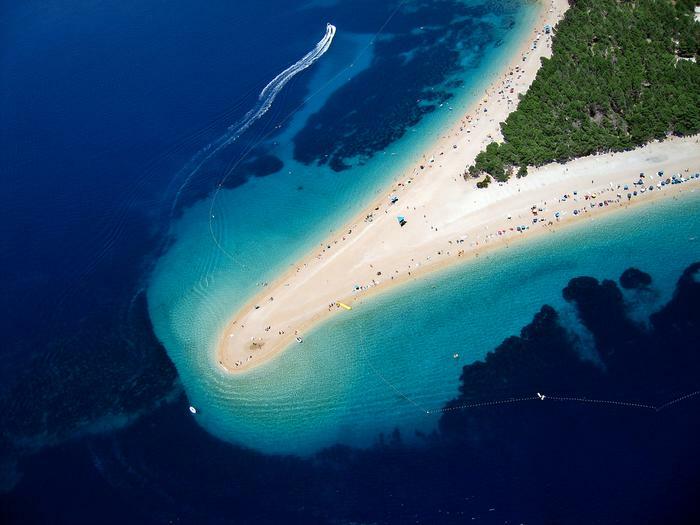 British newspapers The Daily Telegraph included Zlatni rat on the Brac island among the most beautiful beaches in Europe. It has been brought out as one of the Adriatic pearls, and article features some other Adriatic beaches – in Rovinj, Lovran, Nin, Lopud and Vela Luka. Zlatni rat always takes a prominent place in Croatia's tourism marketing as an exceptionally beautiful and rare natural phenomenon. The beach has a unique position because it is set vertically compared to the coast, while wind and waves move its peak from left to right and vice versa. This beach made of small pebbles is more than half a kilometer long and it is one of the most popular Adriatic destinations. Zlatni rat and Viganj on the Peljesac peninsula are always presented as the best windsurfing destinations in Croatia.